pecial Anti-Robbery Squad SARS have been gunned down in port harcourt Rivers State. 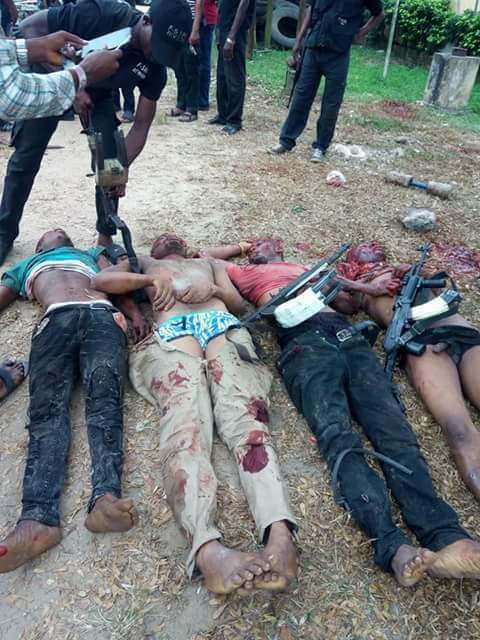 The suspects were killed by SARS on Saturday, December 16, at Ogbogoro community in the Obio/Akpor Local Government Area of Rivers State following a distress call from an unidentified member of the public. This was as armed robbers, who operated around the Ileabuchi area of Mile 2 Diobu, Port Harcourt City, on Saturday night, killed a policeman in the area, leaving a local vigilante member and other persons with bullet wounds. A source told PUNCH that the criminals were spotted to be fake security operatives by residents of the area. 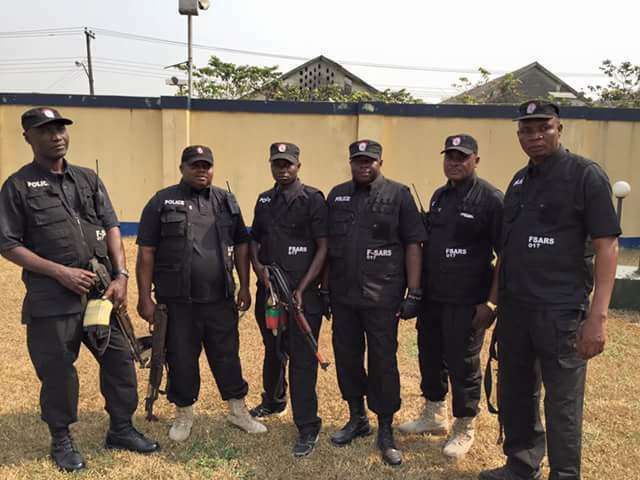 The Commander of SARS in the state, Mr. Akin Fakorede, who confirmed the development, said his men killed a four-man robbery gang that disguised as SARS operatives to rob some residents. The Commander of F-SARS in the state, Mr. Akin Fakorede, who confirmed the development, said his men killed a four-man robbery gang that disguised as SARS operatives to rob some residents of that area.